VsTank Pro US M4 Sherman Tank Crew Figure & Machine Gun Parts kit Discounts Apply ! 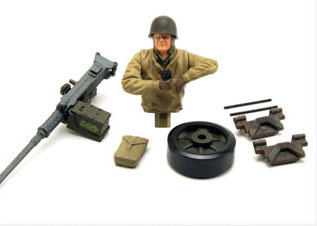 VST03102889 - VsTank Pro US M4 Sherman Tank Crew Figure & Machine Gun Parts kit. Item can be painted and used with all 1/24 scale VsTank pro and Forces of Valor Sherman tanks.